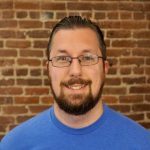 Guest blog by Scott Ellison II. Scott is a popular reviewer of the latest video games and Editor-in-Chief at SavingContent.com. You can follow him on Twitter @hawk_se and catch his gaming on his Twitch.tv channel at hawkse. Our clocks have been rolled back one hour, there’s a chill in the air, and the heat has been turned on in the house. Which means it’s already that time of the year, to start settling in for the winter. This is a time to spend more indoors, with family and friends alike. What better way to do that, than in and around gaming?As a video game reviewer, and general enthusiast of games and technology, I see a lot of different products come across my desk. And I’ve assembled what I think are a diverse, and wide variety of games and gear that will appeal to gamers of all ages and types. These items are in no particular order, and are worthwhile all the same. There’s been a lot of great releases this year alone, and I’ve put them together in a helpful guide for this upcoming holiday season to make the task of shopping for those gamers in your life, just that much easier. To jump into our new gift list, and the New Year … why not start with a toy that really delivers on a game-geek favorite: the retro future past! 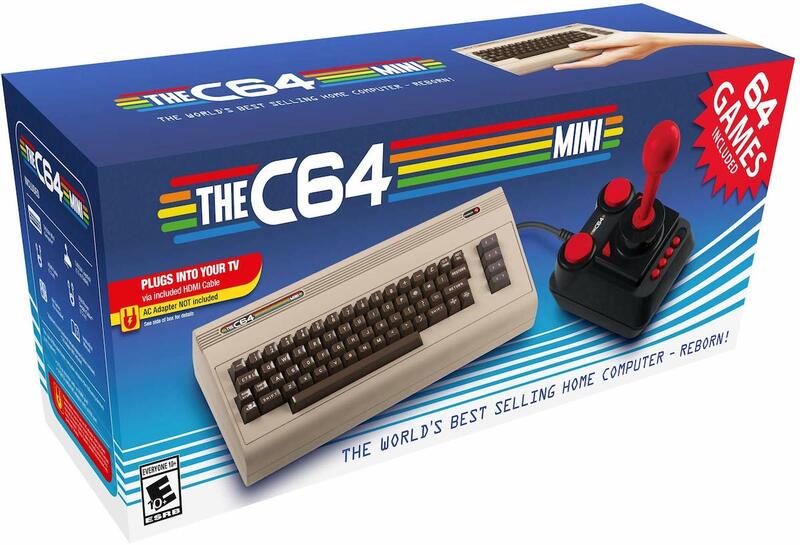 The beloved Commodore 64 is reborn with THEC64 Mini, a collection of 64 games, miniaturized for modern televisions and monitors. It’s the easiest way to replay these games today. 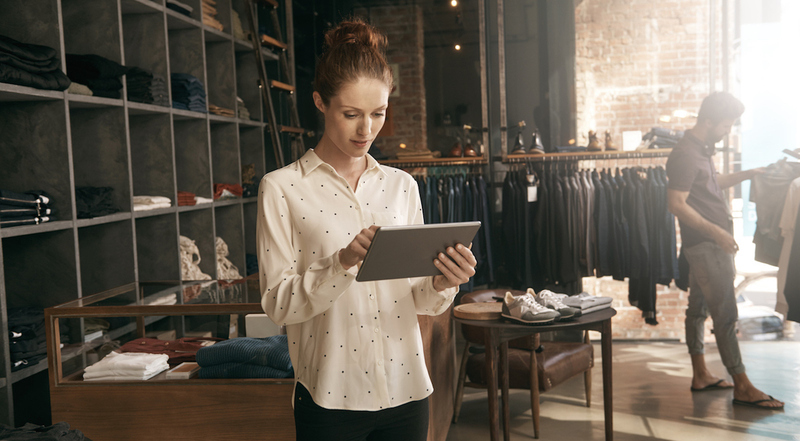 All you need is the included USB and HDMI cables and an available viewing screen, and you’re in business. THEC64 Mini does a great job at emulation, down to being pixel perfect or in a 4:3 resolution with various forms of CRT simulation. The games themselves cover the console’s lifespan from its introduction in 1982, which dominated most of the 1980s. Standout titles include Chip’s Challenge, Summer Games, and Hunter’s Moon, just to name a few. You can even load your own games, if you own the ROMs legally, expanding the library beyond the included titles. It even includes BASIC for you to do simple programming, like many of us did in elementary school. Retro Games Ltd. has made a great console in THEC64 Mini, that will appeal to collectors, dads and grandpas, and all gamers alike. 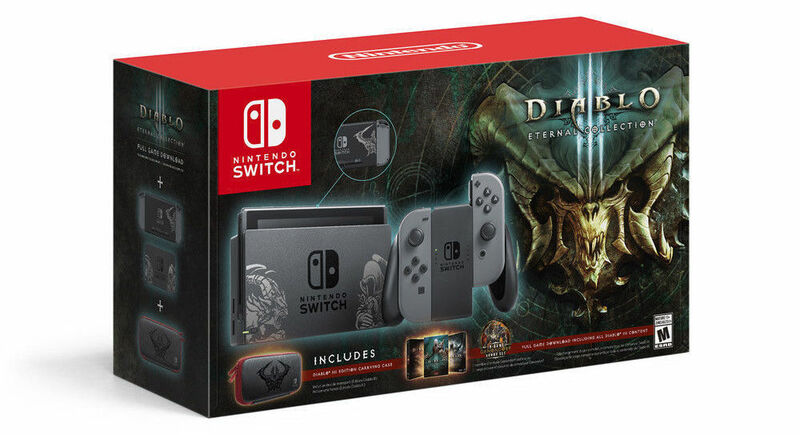 Diablo III was first released in 2012 onto PC, but now the game has made its way to Nintendo’s runaway hit platform, the Switch. It comes with the base game of Diablo III, the expansion Reaper of Souls, and a downloadable character class, the Necromancer. And if you don’t own a Nintendo Switch, the above bundle is all that’s needed to get you started, and features a special design on it that stands out from the rest. Whether you’ve played the game before or not, this game is essential if you commute regularly, or have the TV occupied often, or simply want a console experience you can hold in your hands. This game is the best hack n’ slash has to offer. 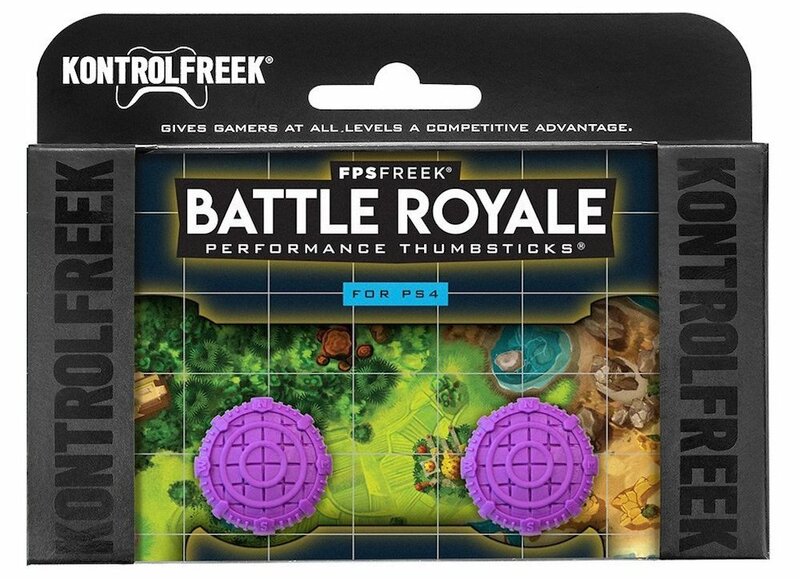 KontrolFreek is a company that caters to all kinds of gamers, and has a wide variety of accessories that enhance your gameplay sessions. Their Performance Thumbsticks are designed to ensure your thumbs never slip off the sticks during play. The most popular and well-designed ones are Overwatch, Call of Duty: Black Ops 4, and even Fortnite-inspired ones designed around the battle royale genre. They also have a product called CleanFreek Wipes, which might seem like overkill, but if you are someone (or know someone) who gets sweaty hands when gaming, being the person to receive the controller after their use is less than ideal. This helps clean a controller after heavy use, but also serves as a normal cleaning solution for crumbs or other objects that might get stuck on the controller. The wipes are multi-faceted, allowing you to use them safely on other electronics, even your television screens for a streak-free shine. Lastly, KontrolFreek has Gaming Lights which are an affordable way to place RGB lighting onto your TV or monitor to properly set the mood for any TV show, movie, or game — with a swath of options of setting color, mode, and speed at which the lights change colors. It adds so much ambiance, and comes with everything necessary to be up and running in minutes. KontrolFreek is a company that focuses on comfort and control, which any gamer will benefit from. Call of Duty is back in a big way with Black Ops 4. This Mature rated title offers up a triple threat of multiplayer experiences, foregoing a traditional single-player story campaign for the first time in the series history. 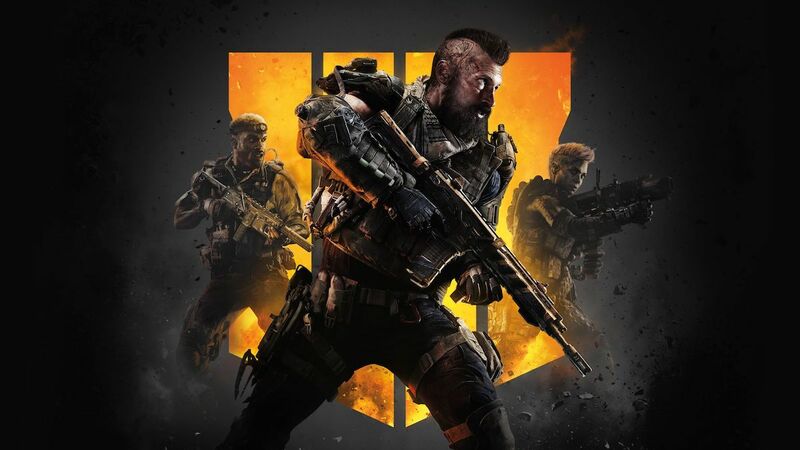 In Call of Duty: Black Ops 4, you can take to multiplayer in co-op mode with friends or strangers and fight in the Zombies mode, or you can play traditional deathmatch in multiplayer, or you can play the new battle royale mode, Blackout. Blackout takes 80 players, and drops them onto a large landmass inspired by past Black Ops games, and tasks players solo, in duos, or in quads to fight and survive to the end to be a victor above all. This game is Activision’s best entry to-date, and is something every fan who likes to play online will enjoy. If you’ve got a fan of combat games in the house, they should have this in their collection. 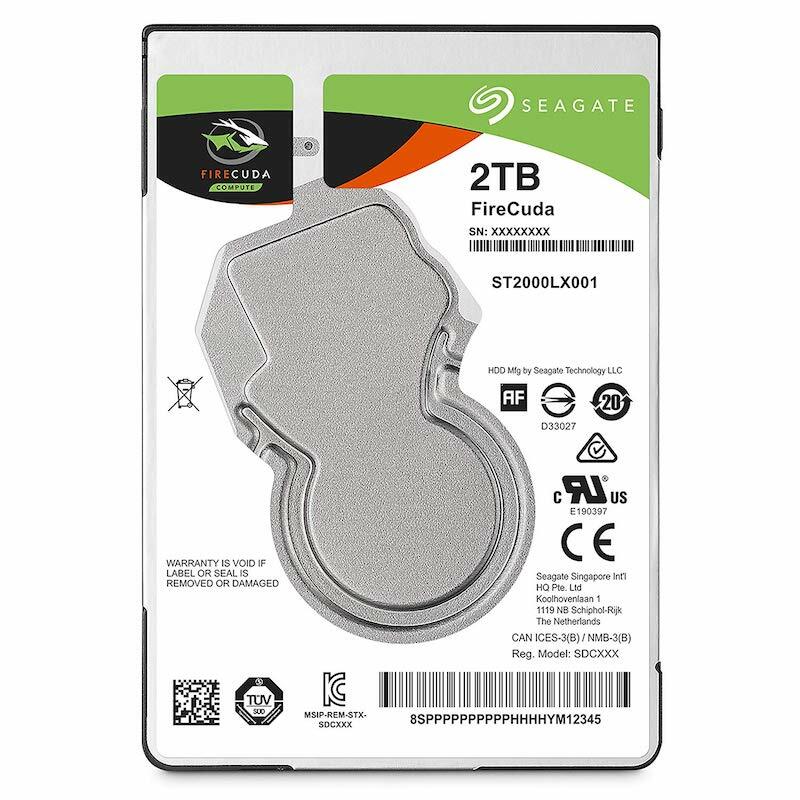 Seagate’s drives should be at the top of any PC user’s wishlist this holiday season. But how do I know which one to get? Well, for starters the FireCuda is an absolute workhorse that blends the usefulness and reliability of a HDD with the speed of an SSD. But I can hear you screaming “Storage! We want more storage! 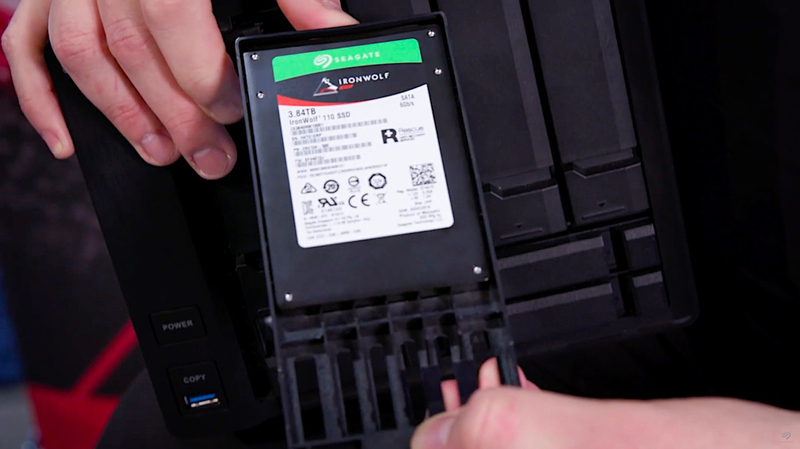 We want the MOST storage and/or the FASTEST storage we can get!” Then that’s unequivocally the unbeaten 14TB capacity and 7200-rpm spin speed of BarraCuda Pro. What if speed is all you need? Then Seagate’s BarraCuda SSD will do just that, getting Windows and main programs booted in a flash. No matter which you choose, the FireCuda is a workhorse that straddles gamers’ desires on a budget, and is the best budget option for faster system and game boot speeds thanks to its flash with a still worthy capacity up to 2TB. You simply can’t go wrong. 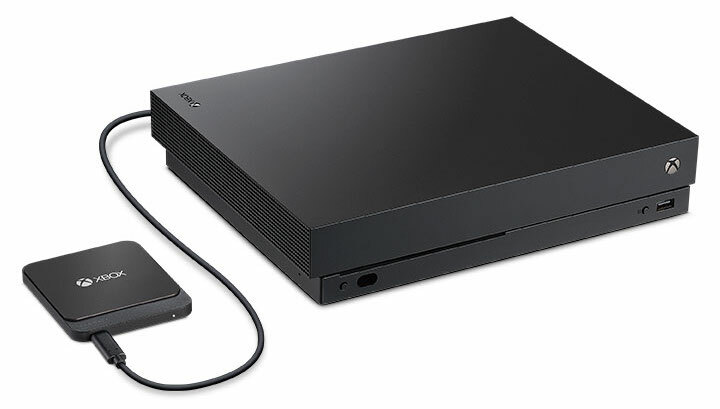 And oh by the way, for your favorite console gamers — of course they might just appreciate some easy, fast add-on storage for their Xbox or Playstation! If that sounds like someone on your gift list, you must check out these Game Drives. 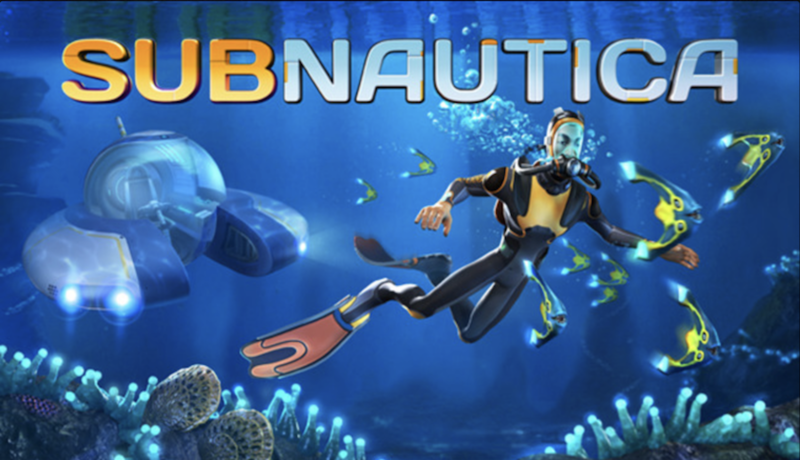 Subnautica is an indie game that released at the beginning of the year, and is currently only available on PC, with Xbox One and PlayStation 4 versions of the game coming soon. The developer behind Subnautica, Unknown Worlds, has made what is quite possibly the best focused single-player survival game ever made. The story is inter-woven at specific intervals to keep the player engaged throughout, and is so interesting that you often forget that you’re playing a survival game at all. This is a game that concludes satisfyingly and is an experience you won’t soon forget. Microsoft has been no stranger to providing tools that enable inclusion for all types of gamers. 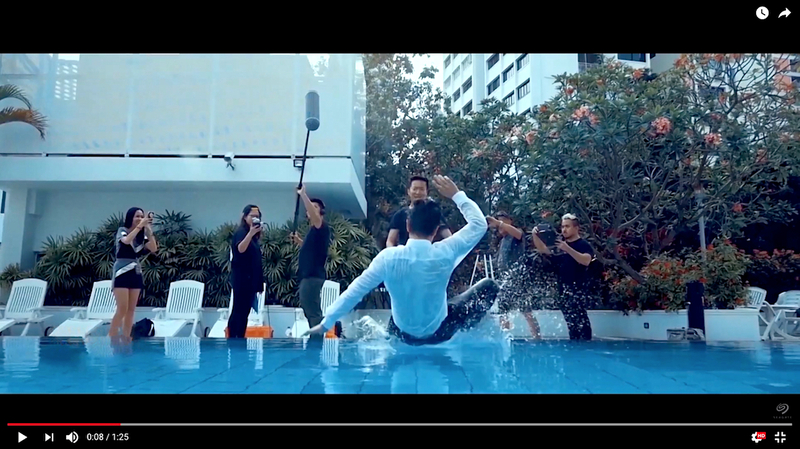 The recently released Xbox Adaptive Controller takes things a step further than what anyone else is doing. This is a controller designed for gamers of all ages and capabilities. You can plug in nearly anything that has a 3.5mm jack as a control device into this controller hub, to make anything from racing games to battle royale games accessible to persons who have limited mobility, and for younger kids who don’t quite have the coordination yet for more advanced games. Xbox realized that they had a gap, and this controller and the peripherals you attach to it can allow you to customize profiles and remap buttons so it’s convenient for whoever is playing, to be able to play games without barriers or limits. This controller works on Xbox One, and even supports games that are backwards compatible for Xbox 360 and the original Xbox. This device opens the doors for too many gamers who have been unable to play games the way they’ve needed and wanted to, and provides them with the means to embrace a system that allows them to be themselves. First and foremost, know that Red Dead Redemption II is a game for mature audiences, with the big “M for Mature” rating on the box. That said, this is a single-player experience like no other. You play as an outlaw named Arthur Morgan, who’s part of the Van Der Linde gang in the year 1899. 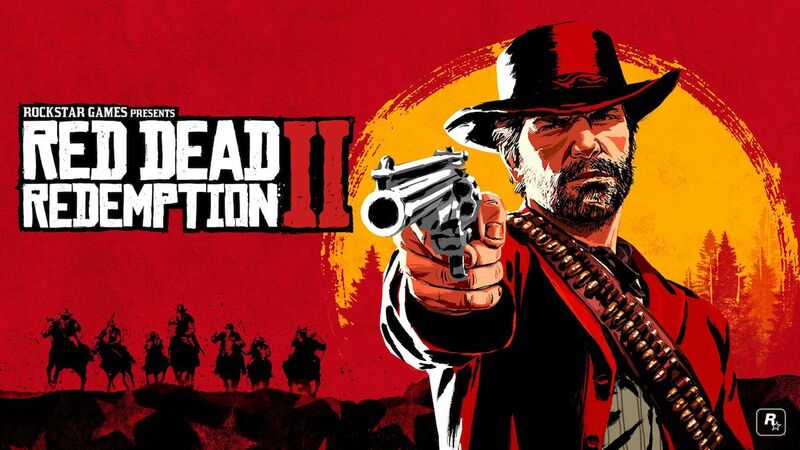 It’s worth noting that this game actually predates the events of the first Red Dead Redemption, which took place in 1911. After the first few hours, Red Dead Redemption II really opens up and becomes a game where you can do and see anything you want. You can stumble upon a conversation that leads you to a home you can rob, or you can save strangers being pursued by even badder men in random encounters. The overarching story will take you across a massive section of different fictional states that are reminiscent of real-world locations of the United States. Red Dead Redemption II feels very adult, and reflects themes found in modern western movies. It’s a game that has a slow burn, but is really satisfying to play your way. Red Dead Redemption II has easily 60 hours worth of content to enjoy, and more if you take your time to explore, and do everything it has available to you. Forza Horizon 4 is simply the best racing game I’ve played, period. Playground Games have been improving the games with every sequel, and have reached what is the pinnacle of the series to date. 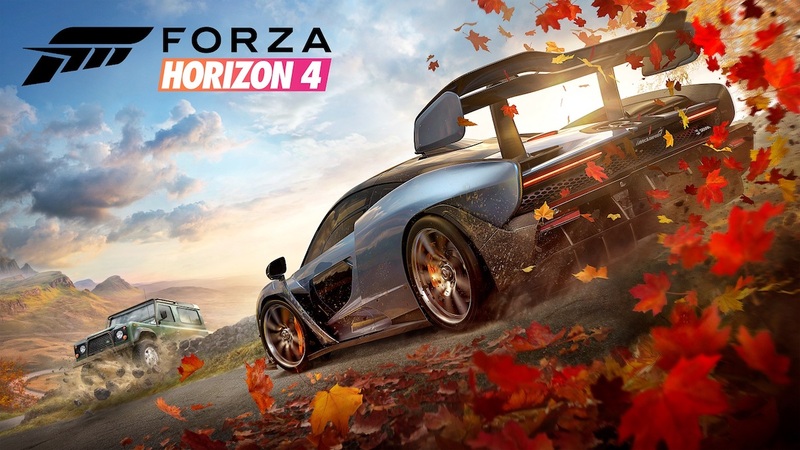 Taking the series to the developer’s backyard of Great Britain, Forza Horizon 4 is a massive playground in which there are lots of events to compete in, cars to collect, and ways to customize them to match your personality. For the first time, the series has seasons that change every week, introducing new challenges and features. This game also takes the series fully online, so you’ll be seeing other real-world racers in the open-world in a more interactive, and lively way. You’ll be hard-pressed to find a more accessible and versatile racing game out there. And to finish out this year’s gift selections, we go back to the futuristic past again! 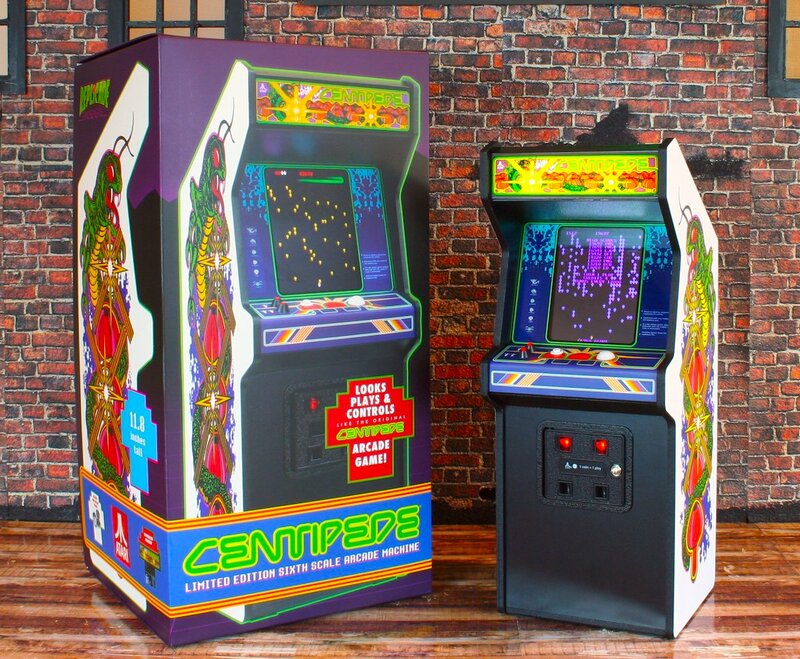 The RepliCade X Centipede arcade cabinet is the closest you’ll get to owning the real thing. It’ll appeal to collectors, retro gamers, or in most cases: both. Playing it feels good as it looks, with a small button for shooting and equally small trackball for movement. It is 1/6th size, and everything from the cabinet artwork, to the sounds, to the way it plays is an authentic recreation. The best part about it, is that you’ll never need real money to operate it. There’s so much detail here that even the Centipede board lights up when you turn it on. For the price, you are getting an incredibly well-made item that serves triple-duty as a toy, a display shelf glory hog, and the arcade cabinet you’ve always wanted without it taking up all of that space, at a fraction of the price. This is simply a must-have item. Hopefully this gift list for gamers has sparked an idea for a single person, or maybe multiple people in your life who would enjoy something from this guide for the holidays. 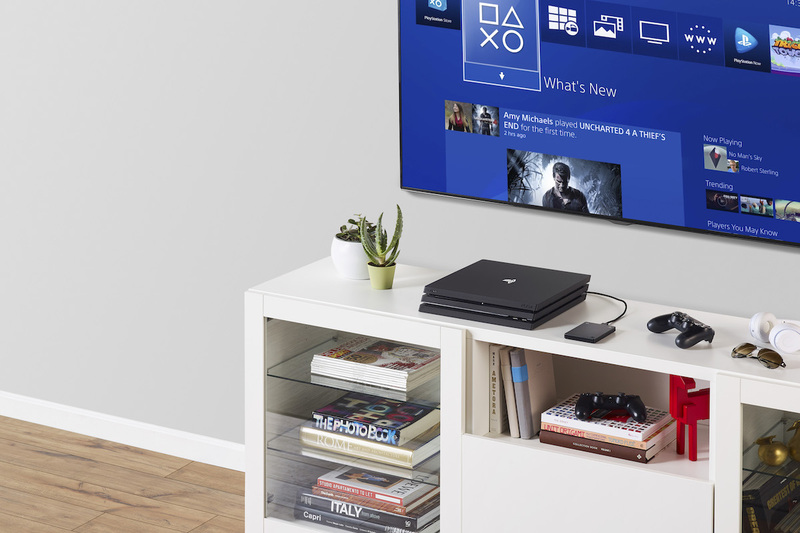 Whether you’ve got someone who enjoys retro gaming, someone who wants the latest games, someone who loves online gaming, or even someone who has trouble playing games — there’s something for everyone here. Putting this gift list together really reminded me of something I don’t always appreciate every day: gaming offers a wide-reaching, engaging, and substantive entertainment for all-ages and all kinds of players. I wish everyone a fun, safe, and fantastic holiday season. I can’t wait to see what 2019 brings us. Have a Happy New Year!